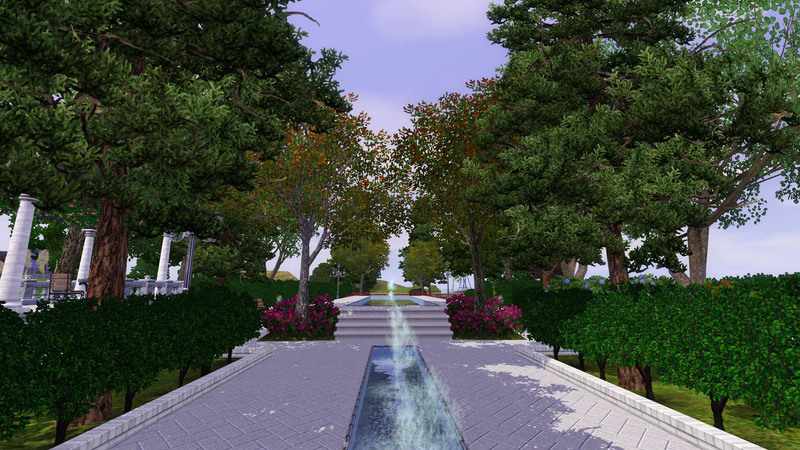 When Weigela Fuchsia, world famous researcher at Sim State University, thought of how she wished to be remembered, she had only four words for her biographer: "a damn big park". 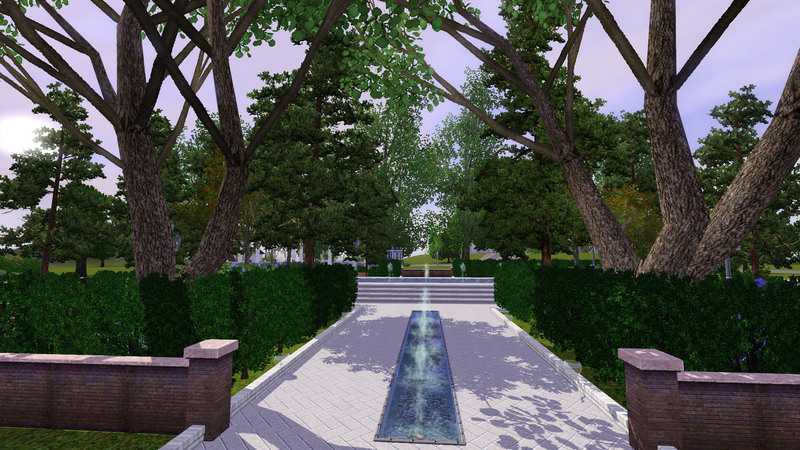 Since the terms of Weigela's will obliged her heirs to build a park in her memory before they'd be granted possession of Weigela's extensive commemorative table lamp collection, her daughters Fern and Fenestraria commissioned a grand public garden in her memory. 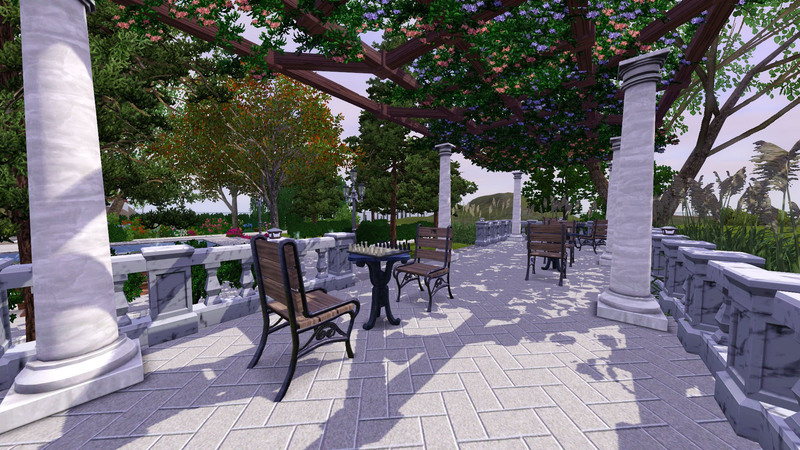 It was named Alba Garden, after Weigela's late wife, five-star chef of Hogan's Diner, Alba Morus. The park was designed in quarters to celebrate the four central aspects of Weigela's life: scientist, wife, mother, and ardent believer that chess ought to only be played outdoors. 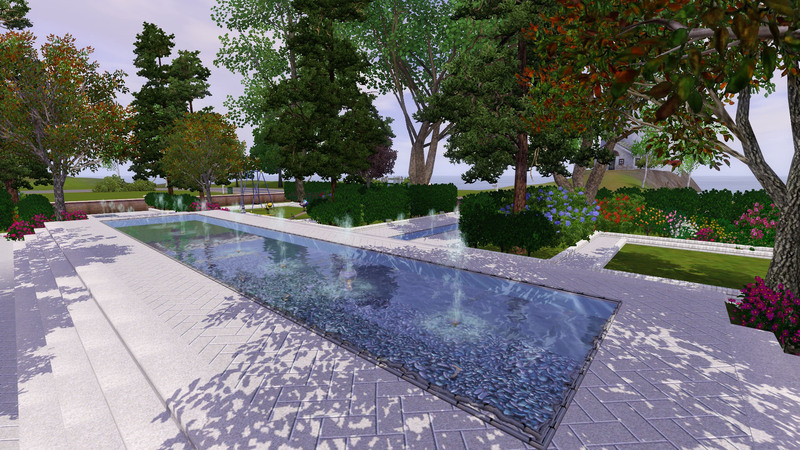 Each section is separated by a decorative rill with tiny fountains, which symbolize Weigela's love for tiny fountains. Upon seeing the completed garden, Fern and Fenestraria proudly proclaimed (they only spoke in unison for reasons they never spoke of) "Weigela would've said this was a damn big park!" 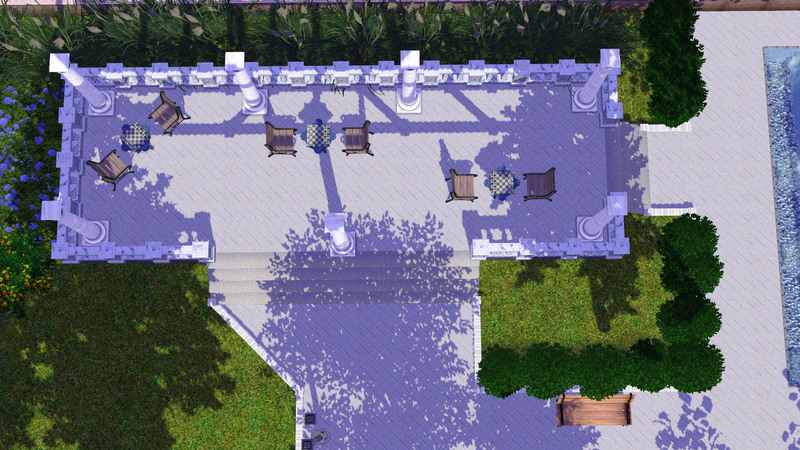 Okay, in all seriousness, I've been wanting to create a park for TS3 for a while now. 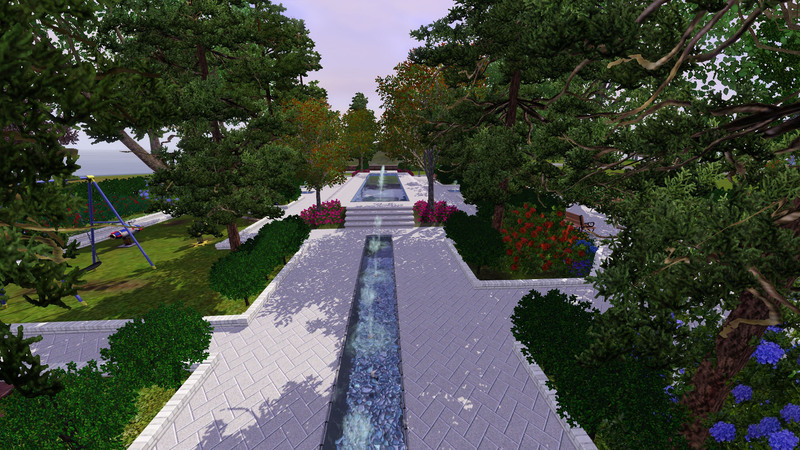 Alba Garden is a bit of a fusion of styles, with a layout based on classical Islamic gardens, and plantings based on English gardens of varying formality. 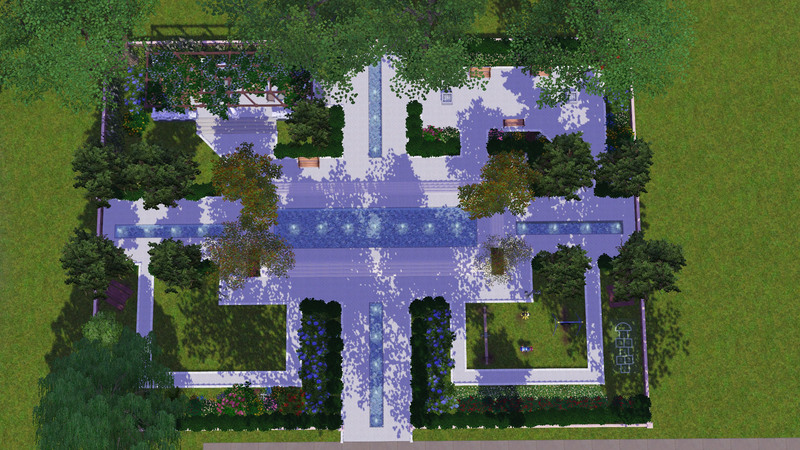 In particular Alba was inspired by the real-life gardens of Bagh-E Fin and quite a few different English gardens. 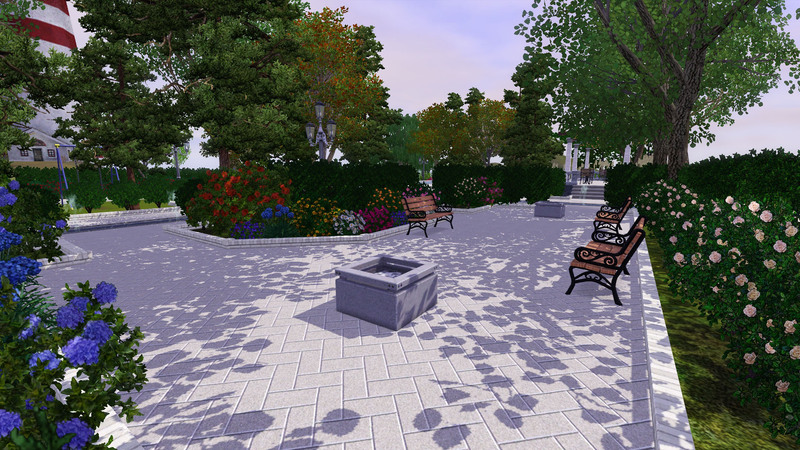 Each of the four quarters in fact symbolize little but offer spaces for a playground, outdoor eating and seating, a grassy area for picnics, and indeed an outdoor chess area. 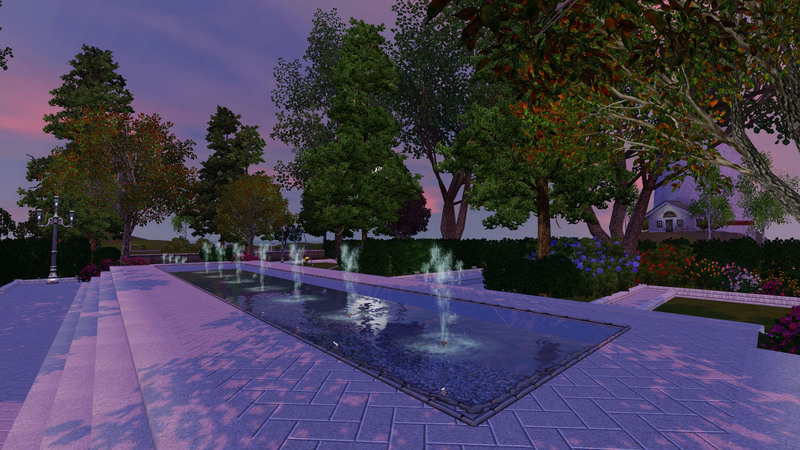 At dawn and dusk the water in the rills sparkles beautifully and reflects the sun and moon. Alba Garden has been a real pleasure to build, and I hope your sims will enjoy it as much as I do. EPs required: Seasons, Supernatural, and Pets are required to preserve the landscaping. Generations is required only for some of the playground equipment. Size: 30x40. The lot is built with the long side facing the street, but it could easily be rotated in any direction with only the deletion of a few pieces of fence. Thanks to everyone in the MTS Discord chat who helped me design Alba. You all are awesome! 72 people have said thanks to PharaohHound for this download.